Tax expert Craig Walker comments on the latest twist to the government’s plans for Making Tax Digital (MTD). Ministers have announced a delay to the roll out of MTD to ensure businesses have more time to adapt to the changes. 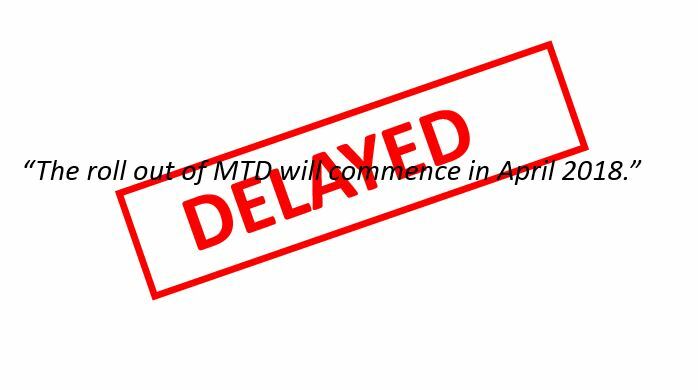 Implementation of MTD had been set to commence from April 2018 but the original timetable has now been scrapped. businesses with a turnover above the £85k VAT threshold, will need to keep digital records from 2019 for VAT purposes (previously 2018). The roll out has been delayed to ensure businesses have more time to adapt to the changes. Many have been worried about the scope and pace of the reforms and the government appear to have listened to these concerns. The Minister’s statement is clear that the government remains committed to the implementation of MTD. The government believes that digitising the tax system is the right direction of travel and that MTD will help bring the tax system into the 21st century. We would therefore still encourage taxpayers to start making plans to digitise their record keeping. MTD will be available on a voluntary basis for the smallest businesses, and for other taxes. This means that businesses and landlords with a turnover below the VAT threshold will be able to choose when to move to the new digital system. It is hoped that HMRC will build an attractive and successful system that businesses will actively want to sign up to. HMRC have begun piloting the MTD services and will continue to do so. HMRC will start to pilot MTD for VAT by the end of 2017, starting with small-scale private testing, followed by a wider, live pilot starting in Spring 2018. The current pilots have been criticised as being too slow and lacking depth, so an extended period of testing is welcome. Businesses with turnover above £85,000 and who are VAT registered will be required to start filing VAT returns using MTD-compliant software from April 2019. As companies already report VAT on a quarterly basis this should not be a major change. Businesses with lower turnover who have voluntarily registered for VAT are expected to come on-board for VAT one year later in 2020. It is expected that MTD will continue to be introduced for companies and large partnerships (those with turnover over £10 million), but not before at least 2020. The postponement of MTD is a victory for common sense and is welcome news. The old timetable was unrealistic and did not provide sufficient time for either HMRC or businesses to prepare for the change. Both parties will now benefit from this more measured approach.